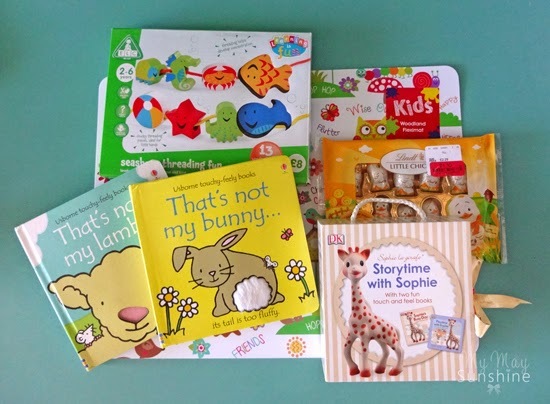 As Easter is upon us I thought I would share what I have bought the girls for Easter. 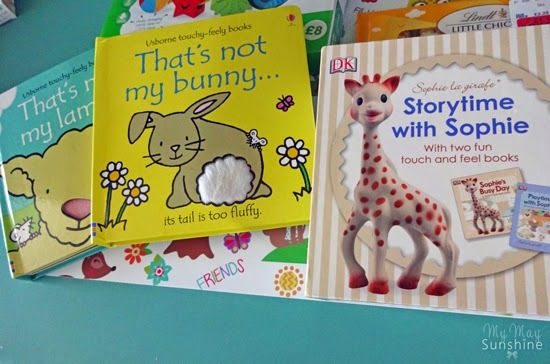 For Amelia, we got her some touchy feely books from Sainsbury’s. We managed to get them when they had their double up event so we were able to use £5 of points and double it up to get the 4 books and didn’t cost us anything. Amelia has been loving the threading lace and blocks, reels etc. 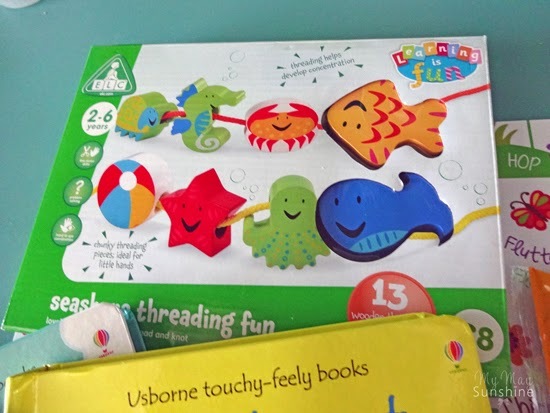 when we go to softplay group, so I bought this seahorse set from the Early Learning Centre and I think she will love to thread the laces and all the characters. 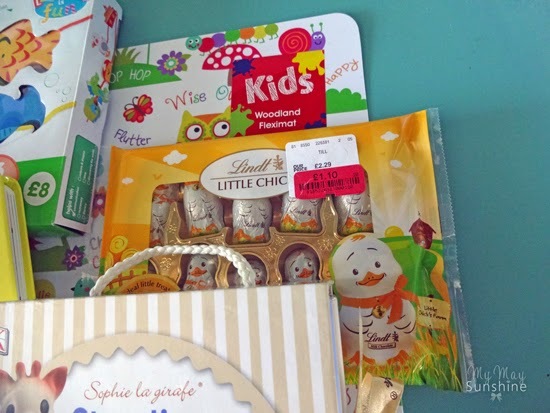 Rather than get her an Easter egg, i picked up these Lindt little chicks from Homesense and they were on offer too! Lastly I bought both girls a new placemat from Dunelm which has lots of woodland animals on it. 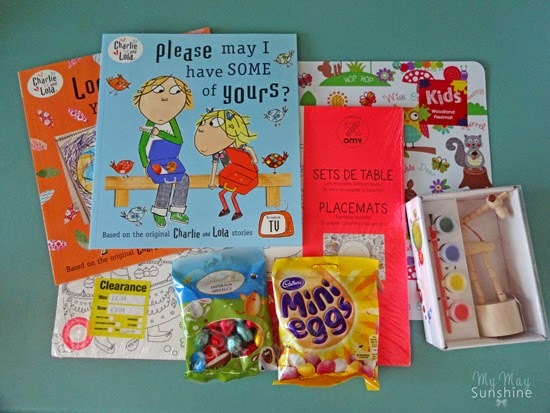 For Hollie for Easter, I wasn’t sure whether to get her just an egg but that didn’t happen and bought a few things I spotted on my travels! 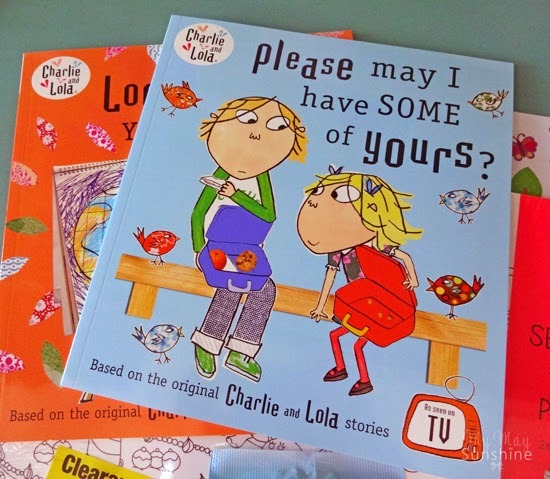 I came across these Charlie and Lola books in the 99p shop and couldn’t resist them as I know she will like them and I am trying to get her to read more, which has been hard. 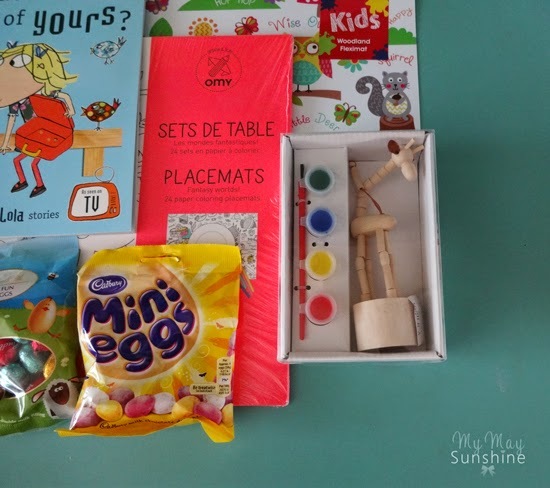 Hollie kept mentioning how she wanted one of these wooden giraffes from Wilkinsons and so I thought I would pick one up for Easter as well as some little eggs as she wants to do some cupcakes and put them on the top. 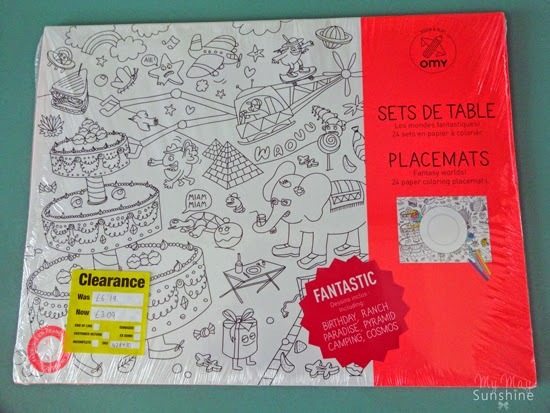 Lastly I saw this pack of paper placemats in Staples which you can colour in and thought even if she doesn’t use them as placemats, she would have fun colouring them in. I think they will love their little gifts and might keep them busy for a little bit! Are you buying gifts for your children or ones you know or just getting an egg? I would love to know how you feel about gift giving at Easter.